How to register a copyright? It´s as easy as pie! Congratulations – You have made the awesome decision to copyright your photos because you don’t want people to use your work for their gains illegally. And/Or you have chosen to copyright your images because you know you’re eligible for statutory damages and other financial reimbursements from image thieves. Currently, you don’t know how to register your copyrights yet. Well, we’re glad that you’re ready, because we’ll not only tell you how to copyright your photos with the US Copyright Office but also include important things to know about the application process. Start by registering on the official US Copyright Office website here. Choose whether you want to register published or unpublished photographs. Provide information on the photographs (and publications). Pay $35 – $55 (depending on whether you’re registering a single photograph or a group of up to 750 images). If you’re applying on paper via mail, you’ll be billed another $85. Upload your photos in a zipped folder. Or you simply contact LAPIXA, and we’ll take over the whole process for you. 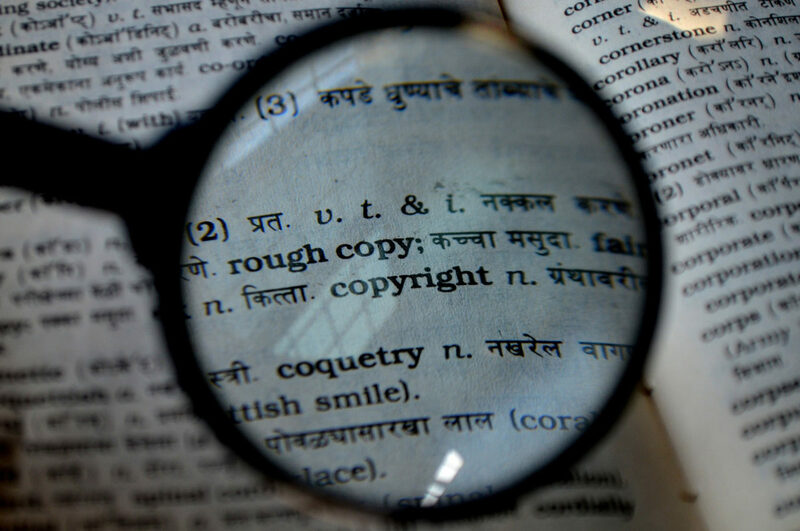 How to register a copyright – Did you know? Registration will protect your and your clients’ interests, protect published and unpublished work in the US as well as in countries with which the US has copyright agreements. Find a list of countries and their agreements with the US here. You can register up to 750 images into a group of photos, all of which have to be from a single author and copyright claimant and the same year. If you’re uploading published work, you will have to include title, file name and date of the publication. According to the US Copyright Office, online applications can be processed faster, are able to be tracked, have a lower registration fee and secure options for payment. The electronic process can take three to eight months and the non-electronic route up to a year. If you choose to register via mail, know that the US Copyright Office will not return your images. You can send in your photos on a CD/DVD/BD or USB drive as well as hard copies. In case someone stole the images you’ve created for an employer, also referred to as “work made for hire,” the employer owns the copyright to the work unless otherwise stated in a contract. Image quality and format do not matter as long as your image can be recognized clearly; however, JPEG is recommended to reduce file size and uploading time. 2 GB is the maximum for a single file. The copyright of photos that have been created after January 1, 1978 lasts “life plus 70 years or 95 or 120 years, depending on the nature of authorship,” according to the US Copyright Office. You can register your photos even if you’re not a US citizen. Remember that even if you registered your photos with the US Copyright Office, people can use your images under fair use, meaning “for purposes such as criticism, comment, news reporting, teaching (including multiple copies for classroom use), scholarship, or research” (17 USC Section 107). The moment you snap a picture grants you full and sole ownership and control over what will happen to your image. According to the US Copyright Act of 1976, you as the author have the rights to reproduce, derivative your works, distribute copies and display, but only registering your images allows for comprehensive legal protection. In other words, if you want to sue someone for copyright infringement, your work must be officially registered. Registration should occur within three months of publication, the latest within 5 years of publication, and before the infringement happened, so you can cash in on these statutory damages and attorney’s fees in case you decide on going to trial. In case your images have been used online without your permission, the Digital Millennium Copyright Act (DMCA) provides an exception with which you may still be able to recover legal costs. If your images are registered, you can make money! If you can prove that someone illegally violated the copyright of one of your images, the person will have to pay you any amount between $200 and $150,000 dollars for each image infringed. He/she will also pay all court and attorney fees and may even go to jail. You as the rightful owner of the image may have to pay up to $3,000 for a threat letter while a following trial may result in a six figure amount. However, LAPIXA offers a solution with which you don’t have to pay a single penny out of your own pocket. LAPIXA can find your illegally published images online and enforce your image rights internationally at absolutely no cost for you. If we have to, we will even go to trial for you and if we’re successful, you will receive the money you deserve. That way, you can focus on what you do best: shooting pictures!